I have a server with a few friends and im trying to breed villagers to get mending. I follow a tutorial on how to breed them on youtube. I tried it in creative mode on a singleplayer world and it worked there. I have tried it 2 times and it wont work on the server. Do anyone have any idea what i can do to breed them on the server? Whether this is Realms or a stand-alone server? What mods (if any) are running? are farmers harvesting and planting? are you seeing willingness hearts? are villagers throwing food to one another? Its 13.2 on a server i host on my computer. And i have no mods or plugins. I made a copy of the world in single player and it didnt work there either. 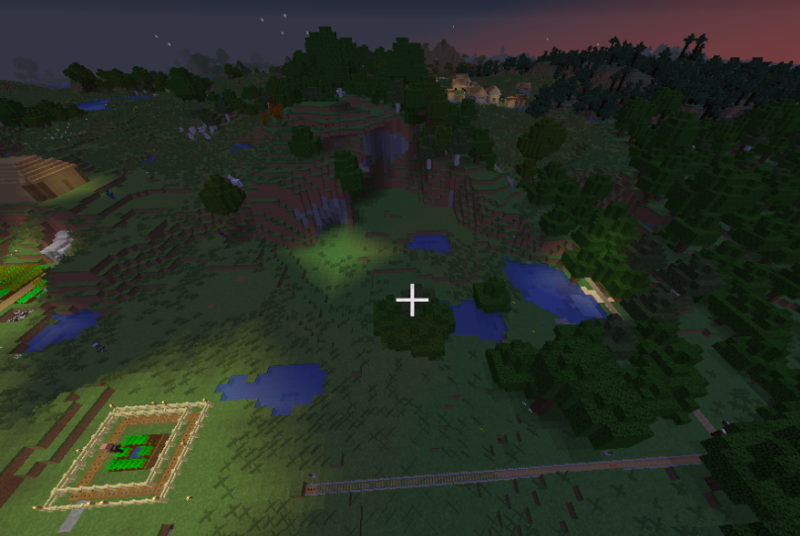 As you can se its pretty close to an village its like 300 blocks i think but i dont know if it has to do with that. And the only thing thats working is that they are picking upp food but i dont get any hearts. And i dont have a iron farm. I once had an issue with this on my server, but shutting down the server and starting it back up seemed to work for me. Like previous replies have stated, if you're running mods there may be some sort conflict with the villager breeding mechanic and a mod installed. I presume there are 6 doors? Just the the middle one in the back row is open and can't be seen? And all 6 doors were placed facing the way the 5 visible ones are now? The three trapdoors along the edge of the farm are above the ladder and your head when you took the middle screen shot? How far down are the doors? 6 blocks is supposed to be enough but there is another thread where somebody had a breeder that didn't work and it started working when they increased the distance to 10 blocks. Also, since farmland is only .85 or so of a block high it's possible that you have to add a block to compensate for that. At least some versions of 1.13 changed the villager door recognition range, you might try lowering the six doors and recognition villager by a block or two… the video says to dig down 5 blocks, but I am under the impression villagers standing on N will recognize doors that are placed on blocks from N-5 through N+3 (inclusive). Have you double checked the placement of the six doors? As a test you can also remove all the doors from the original village in your copy world. 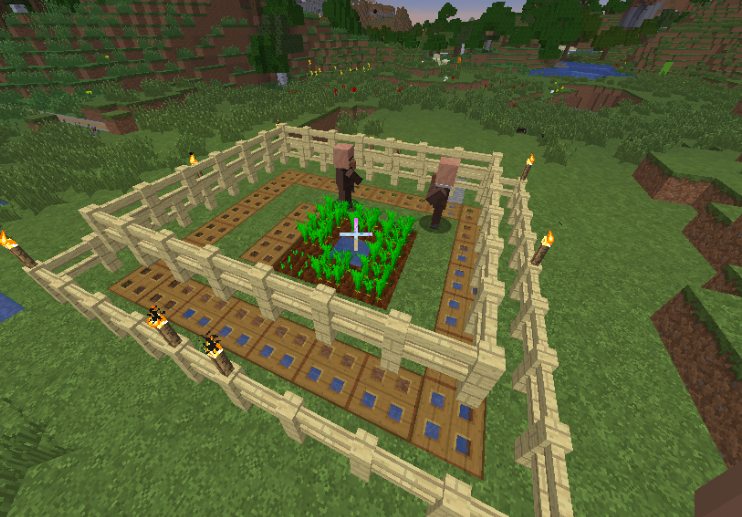 "Priming the pump" by throwing stacks of carrots at each villager until it ceases to pick them up may also help. With only two villagers it may take quite awhile until both are willing and in proximity to each other; nothing for this but to wait. I found the solution and its very simple. Its just that i had disabled mobgrefing. so stupid of me. And i thought they picked up the food but that must have been that the food dispawned.